Here we are into November and one thing is always the same at this time of year. I get very backdated with my blog. 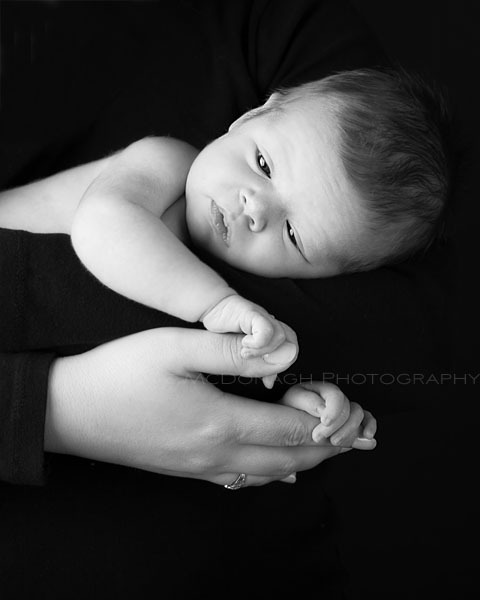 I’m taking a quick break from print work to post some images from a newborn session in studio. We keep our style very simple for these sessions, with minimal props. 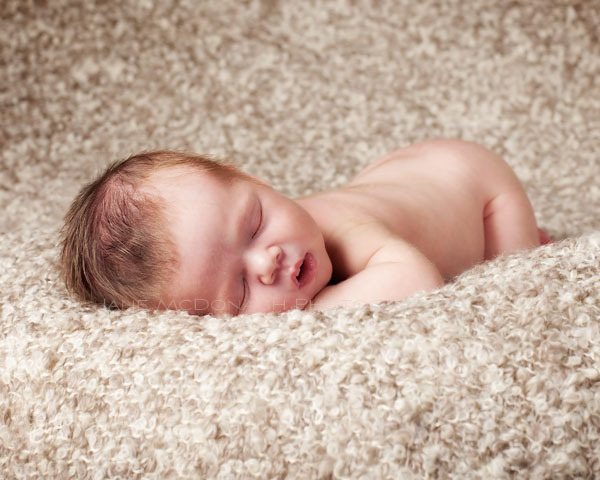 The use of a textured blanket for posing may be the only item. 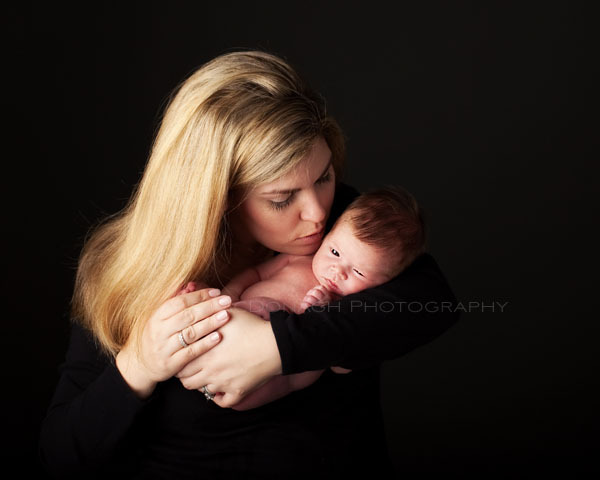 One of my favorite parts of these sessions is moments mother and baby share as can be seen here. 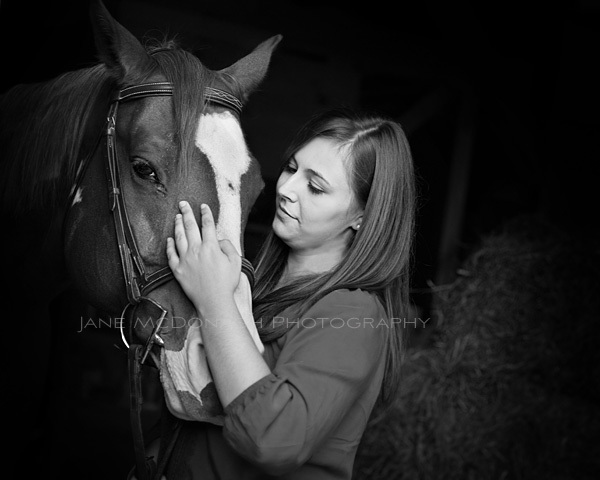 For this session headed over to a stable in the area to photograph a high school senior. 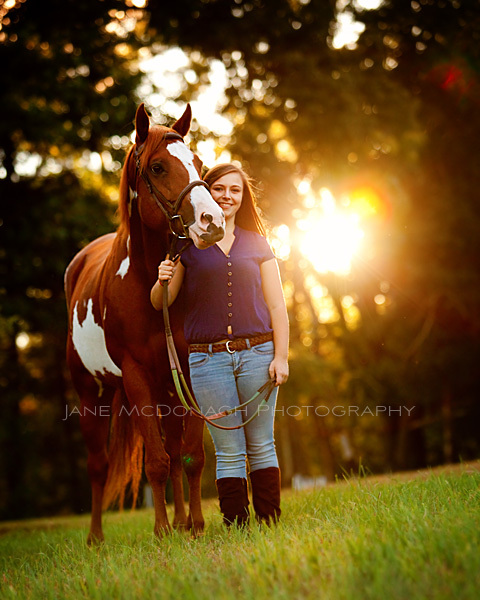 We did a little bit of everything, some individual portraits, some portraits with sister and of course with some with her horse. Lovely location and evening light and the girls were very natural for the camera. Actually the horse was too! 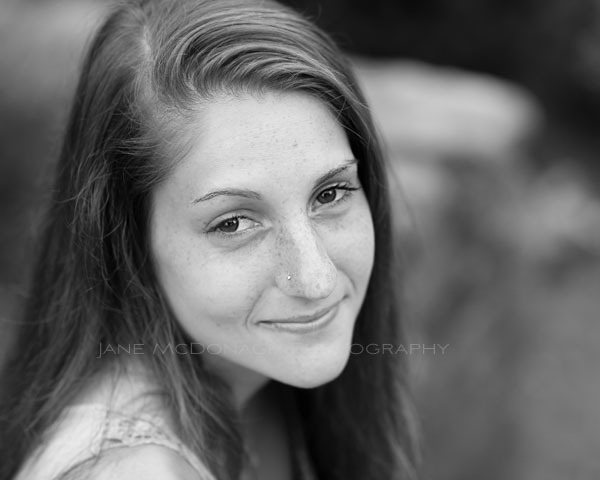 As one of these portraits is a favorite of this young lady, I thought I’d include it here in the blog. Just posting images from one of my favorite late Fall sessions from last year to show that great sessions can still happen when the weather is cold. It was a really chilly late afternoon last November but with a great choice of outfits everyone stayed warm and still had fun. When it rolls round to late October it gets cold even when the sun is shining it’s last rays of the day so outfits have to be planned carefully. Sweaters, layers, simple tailored pea coats or jackets work well. It’s never a good thing to be photographed in the big ski jackets but they are still handy to wrap up in between photographs. Just playing catch up here with some studio sessions from earlier in the Summer. 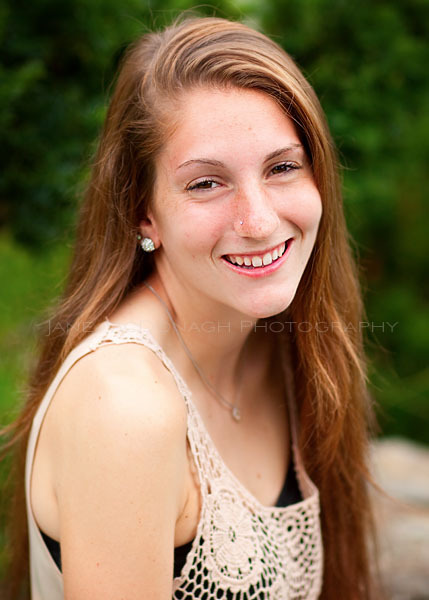 Just had to blog a couple from this Saturday morning session. 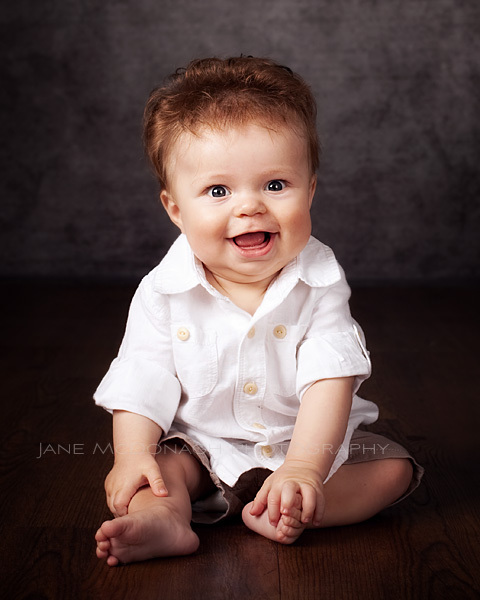 Such a lovely easy going family and lots of smiles from the youngest little guy! 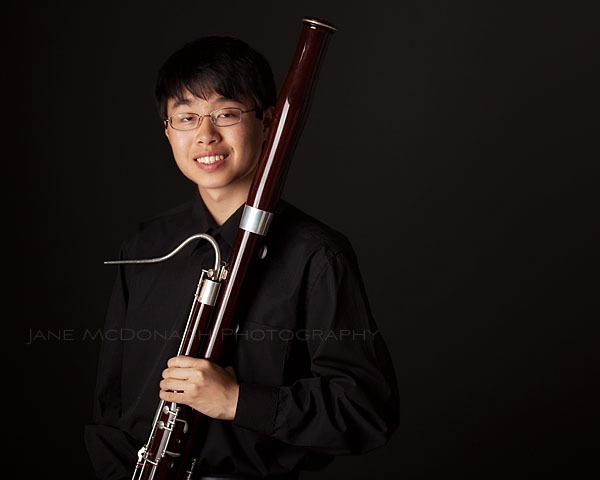 Here’s a few selections from a recent studio session for a high school senior. 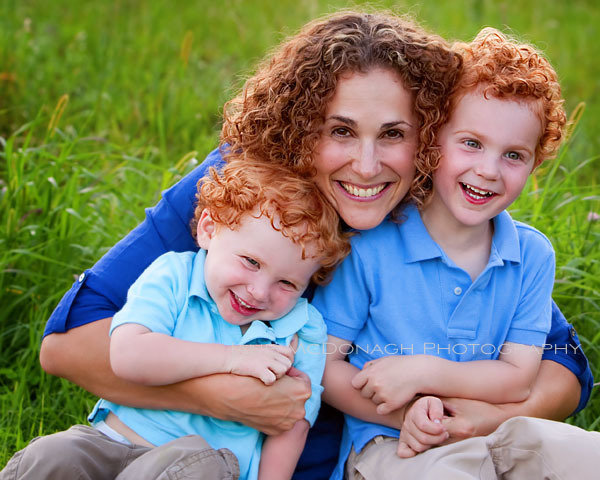 It was hard to pick out portraits for the blog because I had so many favorites. I think his Mom did too! The one good thing about studio is we can mix it up a bit with casual outdoor, formal indoor and as well as working on some themed images which is great for musicians and sports students. 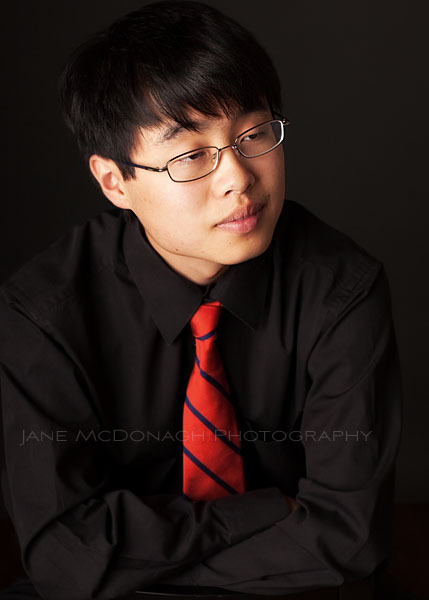 It was a pleasure to photograph this young man and learn about his interests and college plans. I was very impressed with his dedication to his studies and music and I wish him all the very best for his final year at school. Fun session with this high school senior done before the madness of back to school got going. I really liked one of her clothing choices as shown in these portraits. The crochet/lace pattern gave some extra detail and texture with out it being in any way distracting. 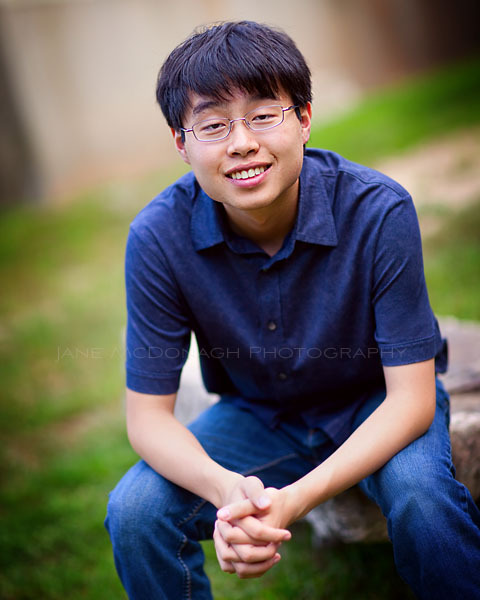 I am looking forward to receiving the families selections for the yearbook portrait and prints! Here’s a beautiful little girl. Love the smile in the third image. 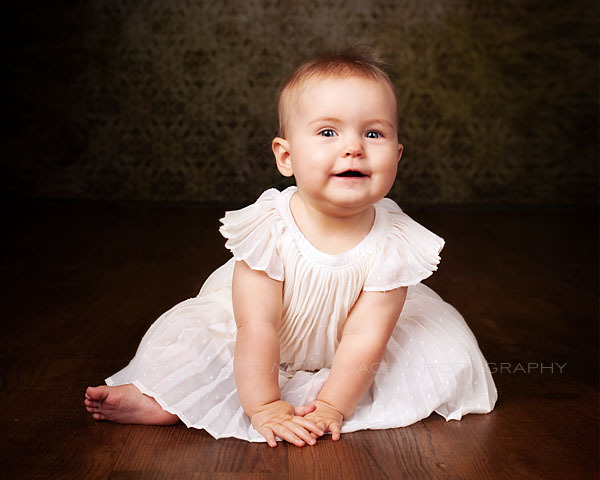 I photographed her sister at exactly at the same age @ 8 months old and it’s was a delight to see the family back in studio again. Loved the cream dress here. 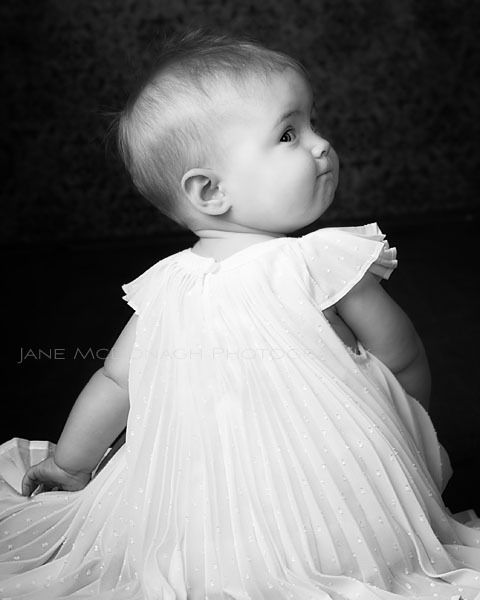 Sometimes some dresses can look fussy on babies particularly if there’s lots of bows and the fabric is stiff. This one was simple in design, with soft pleated fabric to give some added texture and detail. Perfect for portraits! I am looking forward to seeing the portraits this family ordered when the images come back from the lab later this week/early next week. I think they are going to be very special. 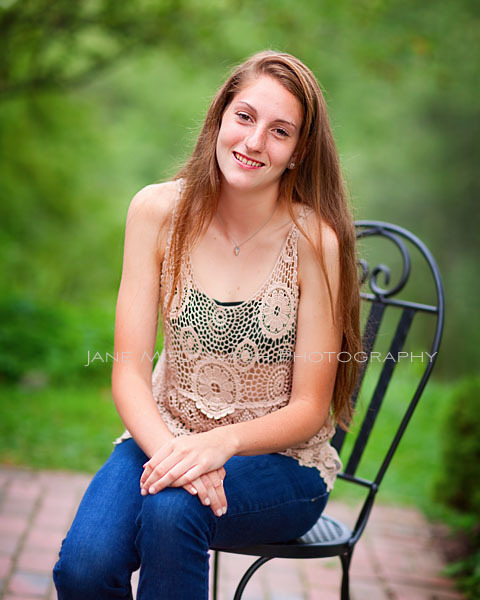 Here are some of my picks from the session although it was very hard to decide what to post on the blog. 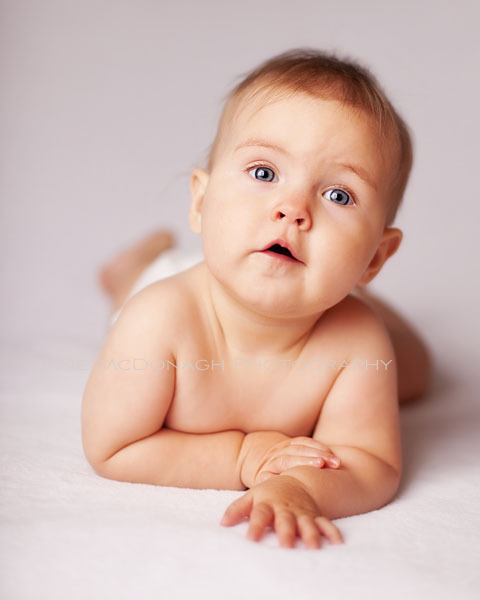 I photographed the eldest brother when he was just six months old. It was lovely to return to the house to see how grown up he is and to meet his brother for the first time. 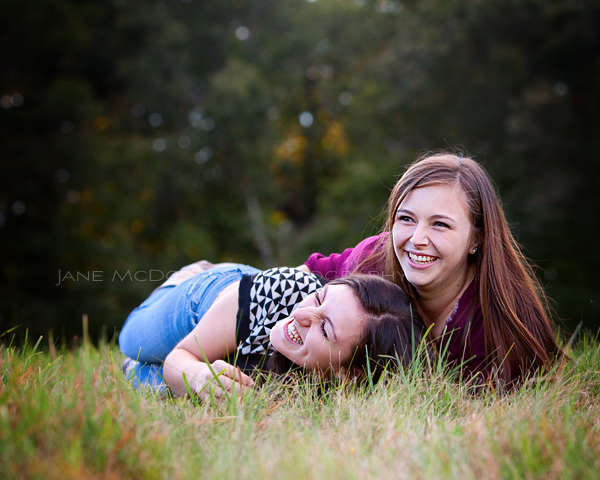 They were quite the pair and very fun to photograph! Two Brothers and some busy fun! Loved this session. It was such fun. The boys donated their snacks to the birds before we even got going. A very generous gesture indeed! I thought they might get hungry but it didn’t seem like they needed to refuel with any food. They were all energy all the time in the best possible way! 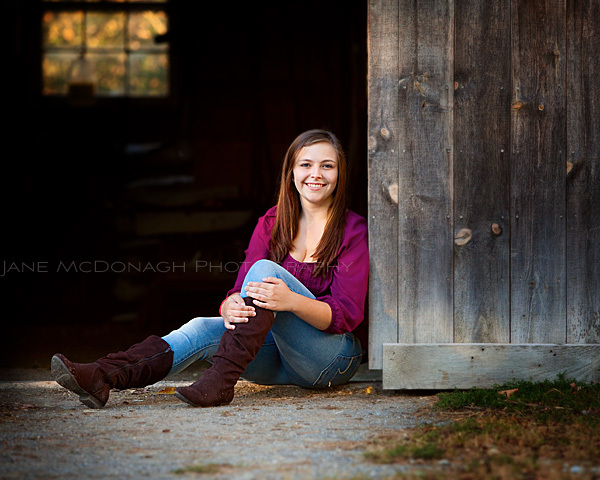 It’s been good to get going with this years senior sessions. We have our standard full sessions available but starting in September we are also offering limited weekday mini sessions for yearbook portraits. These sessions are great for those students who have a hectic schedule ahead or do not want to spend time on a full photo session. So what’s involved? 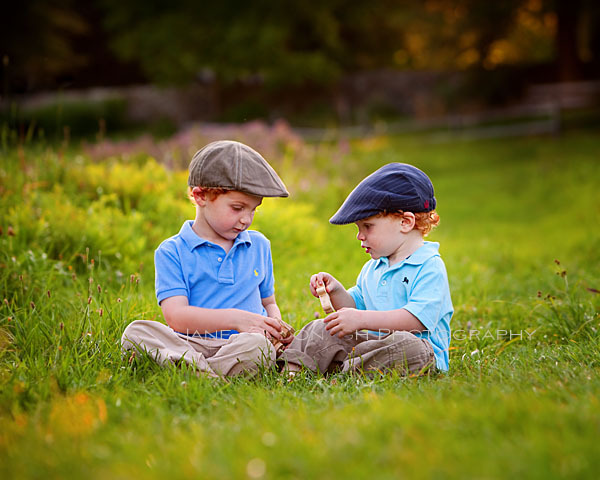 You’ll need to come on over to Littleton in your outfit of choice for a half hour shoot. 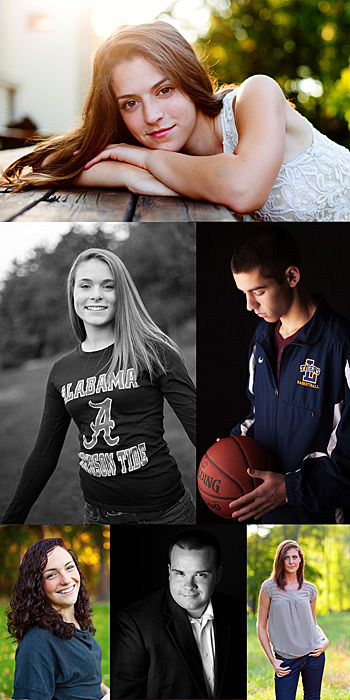 We take the photos, provide you with an online mini gallery of portraits to view and then prepare your portrait of choice for the 2014 yearbook. 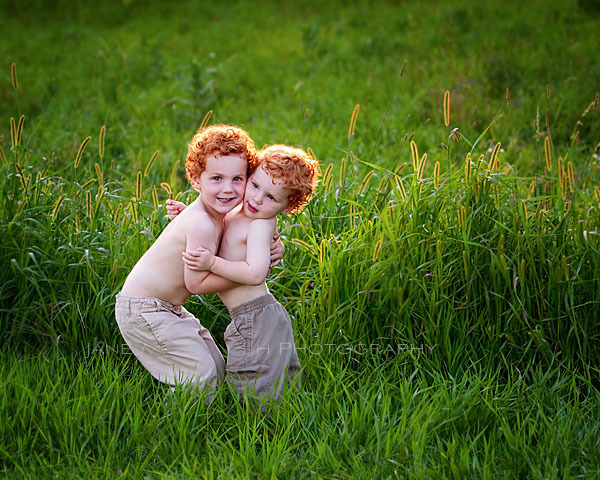 You get a 5×7 print of the portrait too as well as a copy for your Facebook page. Cost $95. All are welcome to purchase additional prints but no minimum print order is required for these sessions. Interested? Send Jane an email and she’d be happy to give you more information including session availability.